WASHINGTON — Voters in Seattle and Maine went to the polls Tuesday night and supported ballot initiatives to reform their campaign finance laws and expand the role of small donors in elections. Maine voters backed by 55 percent an initiative that updated their system of publicly financed elections. The initiative will make it possible for candidates receiving public funds to compete better in the landscape created after two Supreme Court decisions tightened restrictions on public funding and flooded elections with unlimited independent spending. In Seattle, voters backed a sweeping measure to enact public financing of the citys elections by a vote of 60 percent to 40 percent. The measure will create a first-of-its-kind system of publicly funded democracy vouchers to be distributed to citizens to donate to candidates participating in the public funding system. Each citizen will be able to distribute four $25 vouchers to participating candidates. This goes along with a raft of other campaign finance, disclosure, ethics and lobbying reforms also included in the initiative. The passage of both measures signals a new front in the effort to reform and democratize campaign finance. Since the 2010 Citizens United decision opened the door to unlimited election spending by corporations, unions and, following a subsequent lower court ruling, wealthy individuals, public distaste for the role of big money in politics has increased dramatically. At the same time, avenues for reform at the federal level have shrunk as Congress and the Supreme Court are controlled by conservatives opposed to reform. “Everyday Americans deeply believe in the patriotic ideals of a government of, by, and for the people and of striving to create a more perfect nation. For Americans who have lost faith in their government because they believe their elected officials dont listen to everyone, these victories are a beacon of hope,” David Donnelly, president and CEO of Every Voice, a campaign finance reform group that backed the initiatives in Maine and Seattle, said in a statement. As evidenced by the successes in Maine and Seattle on Tuesday, the effort to take the reform agenda to the states — and directly to the people — is succeeding. Another victory came in San Francisco, where voters passed a lobbying reform proposition that lays the groundwork for further changes. These reform wins follow on the heels of the 2014 vote in Tallahassee, Florida, to enact a limited public financing system in the city and reform lobbying and ethics laws. Local, grassroots victories are how we fix our corrupt political system, Josh Silver, director of Represent.Us, an anti-corruption group that backed the initiatives and propositions that passed on Tuesday, said in a statement. Together we are building a movement, from the ground up, and fighting for a future where political outcomes are decided by the best ideas, not the biggest bank accounts. 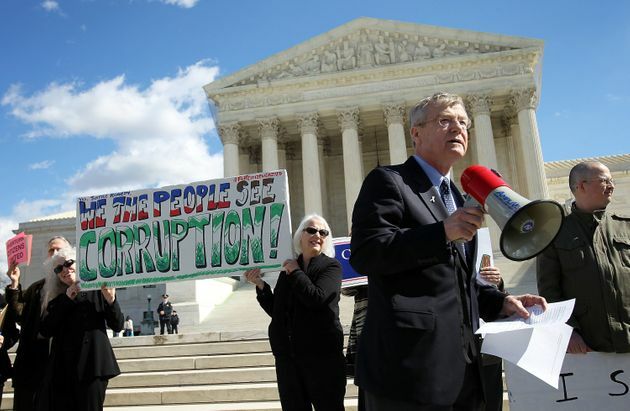 The push for post-Citizens United reform at the state level owes its success not only to the design of getting the issue before a public primed to vote against big money, but also to the initiatives providing an affirmative path to reform through empowering the average citizen. Instead of focusing on passing initiatives that seek to limit, reformers are pushing policies to increase the role of small donors and non-donors in the funding of elections through public financing. These policies are often combined, as was the case in Seattle, with a package of ethics and lobbying reforms supported by conservative voters also concerned about the imbalance in government favoring the wealthy and well-connected. As lawmakers tend to percolate up from city councils to state legislatures and into Congress, reformers hope that their success at creating state- and local-level public financing systems will create a generation of lawmakers coming to Washington with experience in a public system and not in the current privately financed system. These lawmakers would be more willing to help create such a system at the federal level. For now, success in 2015 for reformers means only one thing: more ballot initiatives in states and cities in the 2016 elections.